4 ESTRELLAS "Few places in Cuyo may have many experiences as the Hotel Raices Aconcagua. 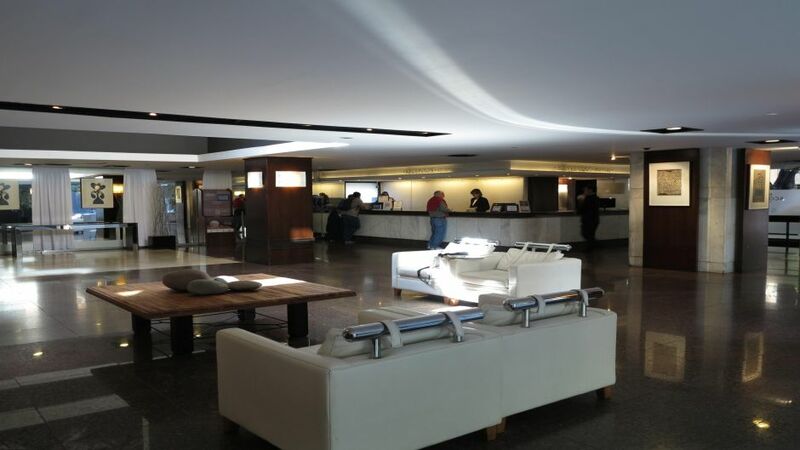 The contemporary style of its architecture, resulting in every corner to s..."
Aconcagua Hotel is located in central Mendoza, opposite of Italy square, and offers elegant rooms with free Wi-Fi and cable TV. It features seasonal pool and serves breakfast. Parking is available for a surcharge. Rooms at Hotel Aconcagua feature discreet light décor and some offer magnificent views of the city. Desks, minibar, safe and air conditioning. Every day, from 7:00 to 10:00, breakfast buffet with pastries is served, while the continental breakfast can be served between 10:00 and 12:00. On the 2nd floor there is a fitness center available to guests. In addition, you can book massages and use the sauna for a fee. The hotel provides rental of offices and meeting facilities. The offices are fully equipped with desks, chairs, flat screen computers, telephones, wireless internet access and Wi-Fi, and cleaning and maintenance. The Aconcagua Hotel is 250 meters from Plaza Independencia and 1.5 km from the bus terminal. The 24-hour reception can book a shuttle to Gabrielli airport, located 10.3 km.